Should there be lifeguards at the Casuarina Sands during the summer months? Royal Life Saving ACT thinks so. File Photo. Locals trying to escape the summer heat at Casuarina Sands may see the red and yellow outfits of lifeguards patrolling the popular swimming spot in the coming years as the Royal Life Saving ACT considers placing lifeguards at popular swimming spots. Royal Life Saving ACT chief executive officer Cherry Bailey said they were considering investing in lifeguards to keep locals safe at popular inland swimming locations given the recent tragic drowning of a 35-year-old man at Casuarina Sands. Ms Bailey said they were trying to find the right balance between preventive and reactive supervision, and which waterways to place lifeguards and patrols. Ms Bailey said she hadn’t had any formal proposal with the ACT Government yet but a meeting was planned for the coming weeks. “We have identified the potential for a volunteer lifeguarding service for popular swimming locations over the summer period as an area to direct funds towards in future seasons,” she told Region Media. “That is something that we have identified as a possibility and coming out of this tragic event, we are looking to implementing that. 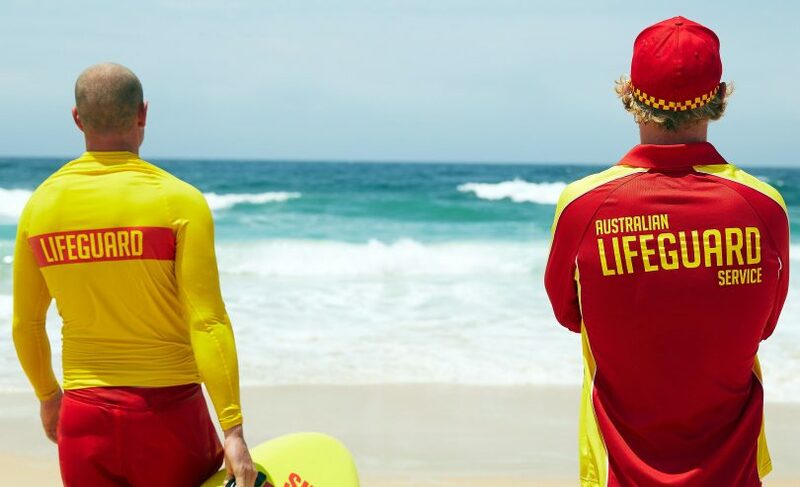 Royal Life Saving Australia said 249 people drowned in Australia in the 2017-18 financial year, with more than 100 deaths in coastal waters, 61 at rivers, creeks and streams, 33 in swimming pools, and 20 in lakes, dams and lagoons. Three people drowned in ACT inland waterways during the same period. Ms Bailey said Canberrans might be overestimating their swimming skills and urged them to show extra care around waterways. “Our concern is are we actually doing all that we can to prepare people for the dangers and risks associated with waterways, which appears to be the theme from one summer to the next,” she said. “We swing from backyard swimming pool tragedies to inland waterway tragedies, so these are our two main points of focus heading into any summer season in Canberra. This would be so hard to manage, that the idea is flawed. The recent Casuarina Sands for example. It's not exactly a 100m stretch of straight beach. There is no way a Life Guard would be able to efficiently patrol such an messy location. Same sitch with Kambah pool, Pine Island etc etc. It would however be beneficial for first aid purposes. I'm guessing like at ocean beaches, they would use flags to set up a much smaller, manageable area to patrol. Very few people carry life insurance these days. This would be wasted expenditure. Its impossible to ‘patrol’ the amount of waterways and lakes through the ACT. Predicting that somebody else would drown at Casaurina Sands over the pontoon at Lake Ginninderra vs literally everywhere else in the ACT is even smaller odds than winning the lottery. Sad to say, but I would rather the government expenditure go into keeping the verges mowed, there’s more chance of that happening successfully. Suffice to say, my guess the reason why patrols were stopped in the ACT would have been because the service was too expensive to maintain vs the possibility that they could have saved a life. Many years ago, there were very affordable blocks of 2 week ( each morning at tge start of the school day, an hour) lessons when I was in primary school. It just seemed to be part of growing up. I do think that life guards would be wonderful to have if possible though. Yes, I remember them too. Seriously. I feel awfully sorry for the families but people need to know their own limitations and learn to swim. With so many drownings recently in Canberra I think this is a great idea. I can only think of two. How many have there been? The Royal Life Saving Society (RLSS) used to provide this service at such places. Why and when did it cease?